If you know Pnina Tornai or even watch one episode of Say Yes to the Dress then you know this gown. 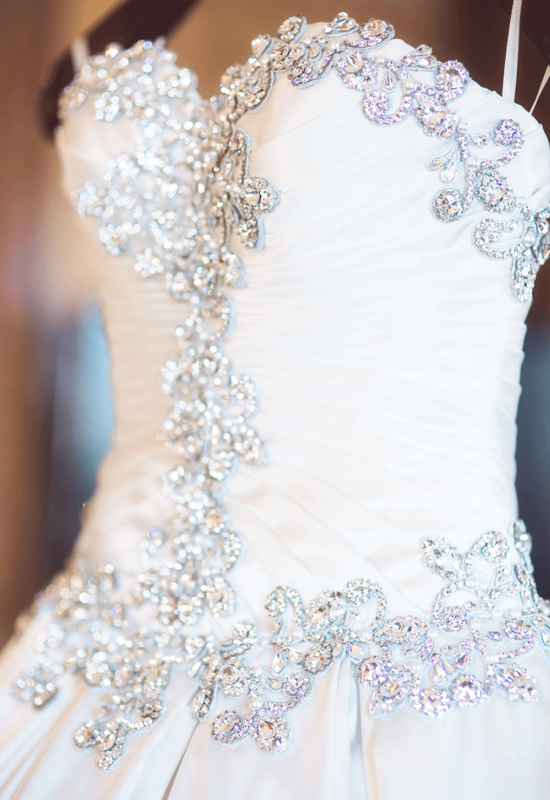 It is the gown that Pnina Tornai is best known for and brides flock to the Pnina Tornai Boutique at Kleinfeld Bridal to try on. It is full of glitz and glam, elegance and style and is one of the most popular and recognizable wedding gowns in the U.S. I am of course talking about style 4019, the classic Pnina Tornai ball gown with a sweetheart neckline, crystal embellishments and a full ball gown skirt fit for a queen! 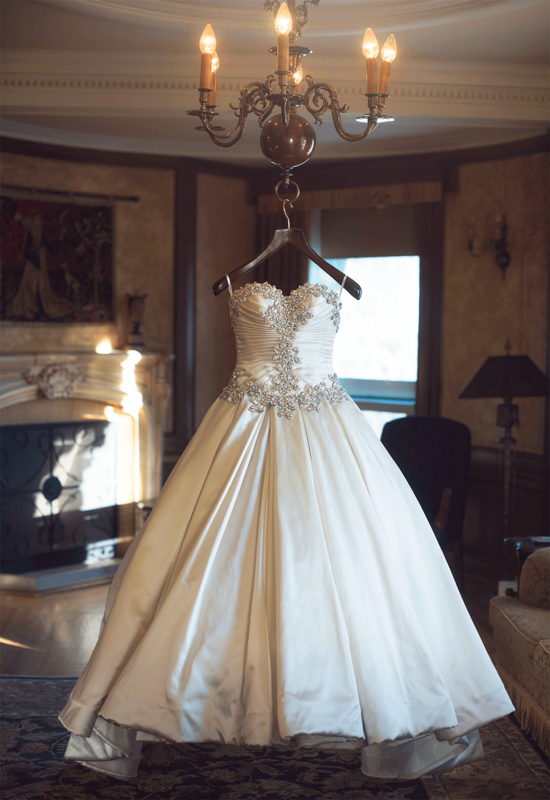 The Silhouette: The silhouette of this ball gown is to die for! Not only does it have the full hoop princess skirt that many brides crave, it also cinches brides in at the waist giving them an ideal bridal figure. Great on all shapes and figures, the silhouette of this ball gown is always a winner. Always associated with royalty and extravagant events, this ball gown is perfect for the bride with a flair for the dramatic. The Bling: Bling lovers unite!! If you need all of the bling and are looking to make a statement, then this is the gown for you. 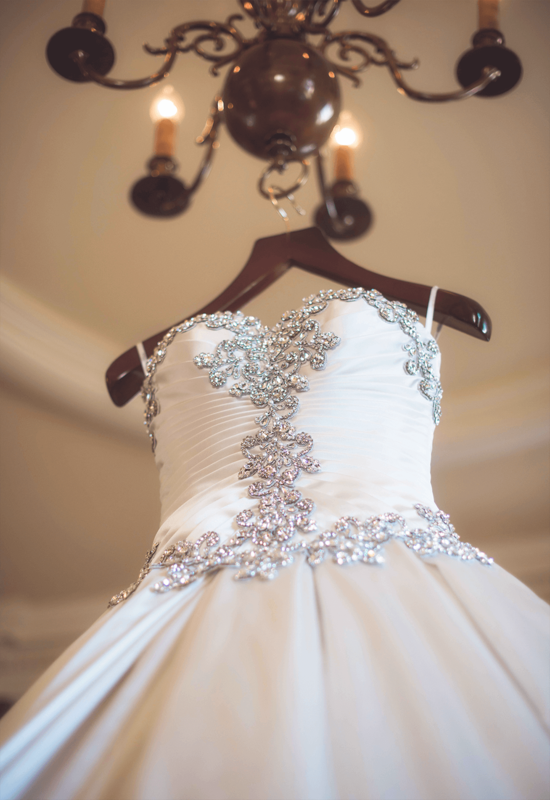 The bling on this gown is bold, making it a must have for brides looking to “wow” on their special day. Perfectly trimming the neckline then continuing down the middle of the gown to visually slim the waistline, the crystals on this gown are perfectly placed to enhance the silhouette of the gown and the bride wearing it. All eyes will certainly be on you when walking down the aisle in this gown. The “It” Factor: This gown simply has an indescribable quality about it that cannot be replicated or duplicated no matter how many designers have tried! This gown has it all and it commands attention whenever anyone wearing it walks into the room. The luxurious satin, the dazzling Swarovski crystals, the ball gown silhouette, and the sweetheart neckline; all of this combines to make one gown that stands the test of time and has future brides seeking out it’s bridal magic. Gowns like this are rare and a true gem. No matter how many brides may have worn this gown, each time it appears it is like seeing it anew for the very first time. 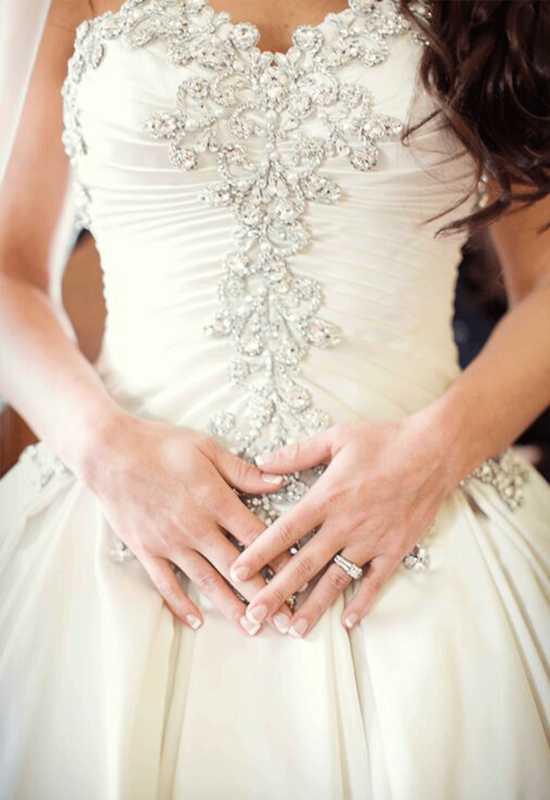 A true iconic Pnina Tornai classic, this gown will be around for a lifetime making bridal dreams come true. 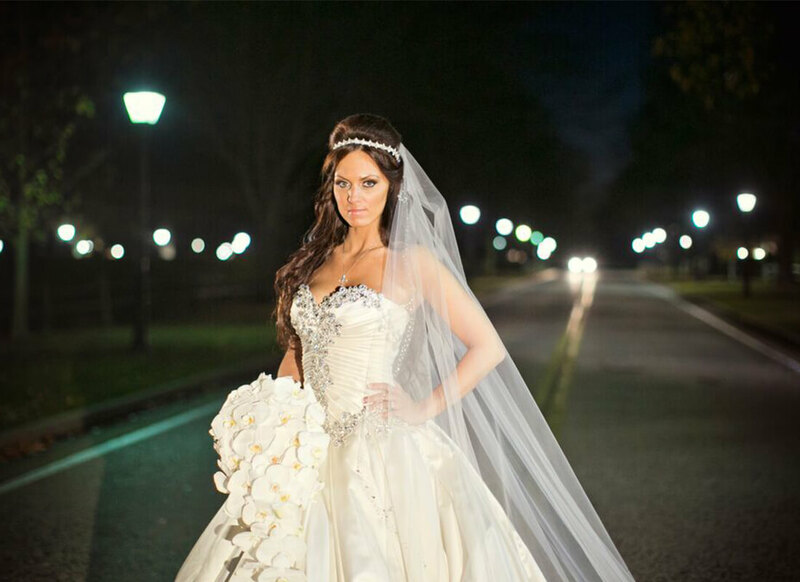 Photography courtesy of: Pnina Tornai, Janelle Brooke Photography, & The Tiny Wedding Co.